Wash Bottle are made of Low Density Polyethylene which gives these bottles a translucent & unbreakable character. Solutions can be poured easily by squeezing the bottle lightly. The cap is fitted with a flexible polythylene delivery tube which can be aimed wherever required. We are Manufacturer Exporters and Suppliers of Plastic Wash Bottle at wholesale competitive prices from India. WBWB 101 125 ML 12 Pc. WBWB 102 250 ML 12 Pc. WBWB 103 500 ML 6 Pc. 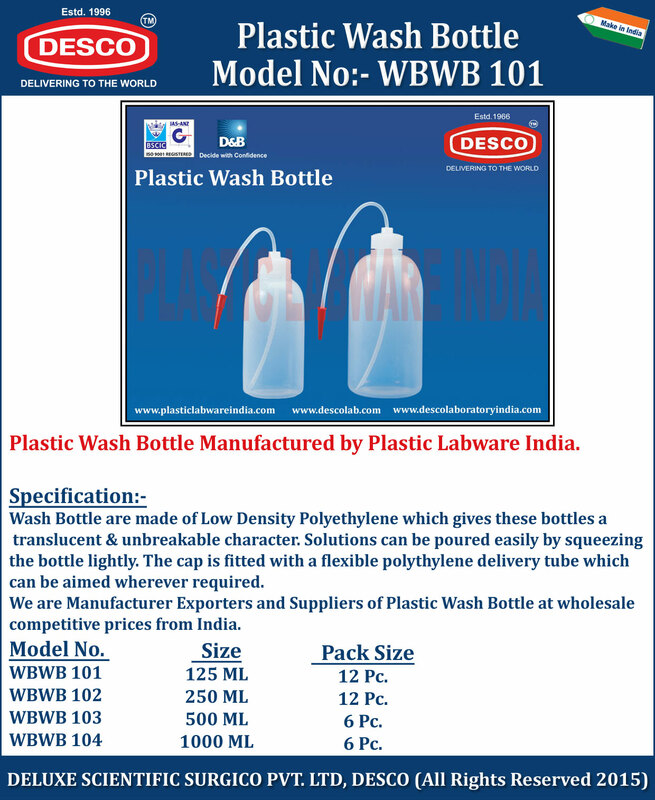 WBWB 104 1000 ML 6 Pc.